The following is a personality profile of Sylvia Plath based on her work. 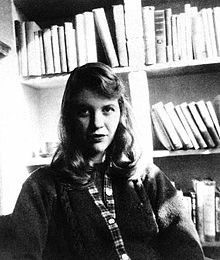 Sylvia Plath is a bit compulsive, sentimental and social. She is laid-back, she appreciates a relaxed pace in life. She is intermittent as well: she has a hard time sticking with difficult tasks for a long period of time. But, Sylvia Plath is also carefree: she does what she wants, disregarding rules and obligations.